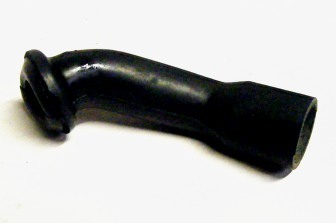 This is a Used GM heater fan hose for 70 - 92 Camaro and Trans Am. This unit recirculates air onto the blower motor keeping it cool as it operates. This is a Used GM heater fan hose for 70 - 92 Camaro and Trans Am. Unit runs from the fan to the AC suitcase.